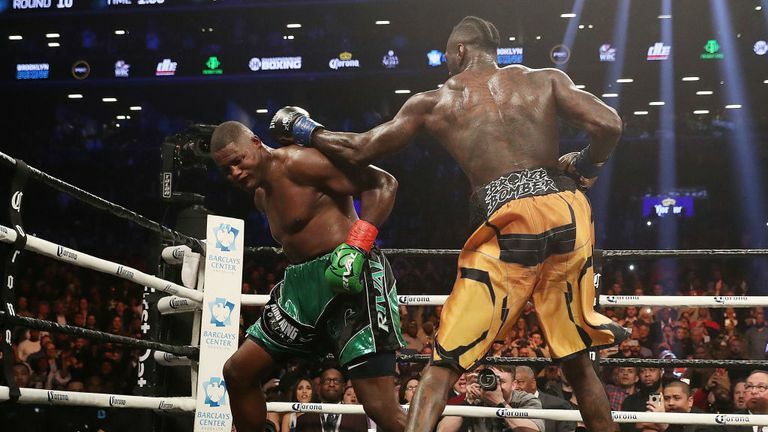 Last night, Showtime Championship Boxing was a thriller, as Deontay Wilder (40-0, 39 KO’s) somehow was able to defeat Luis Ortiz (28-1, 24 KO’s), in what was surely the toughest fight of his entire career. Jose Uzcategui (27-2, 23 KO’s) also defeated Andre Dirrell (26-3, 16 KO’s) in their rematch of their highly controversial first fight. Uzcategui was winning their first fight on all 3 scorecards before he got questionably disqualified, and he picked up right where he left off. He was the sharper fighter in this one, and it showed a lot. Dirrell did not look prepared at all, and kind of looked like a washed up fighter, and a former shell of himself. the first 3 rounds were competitive, and then it was all down hill for Dirrell. By the 5th round, Dirrell became Uzcategui’s punching bag, and it did not look like the fight would go the distance. Uzcategui was using every punch in the book, and hitting Dirrell at will. Dirrell would not come out of the corner for the 9th round, and Uzcategui gets the TKO victory. The main event was a banger, and surprisingly very reminiscent to the Anthony Joshua VS Wladimir Klitschko fight. A very back and forth affair. 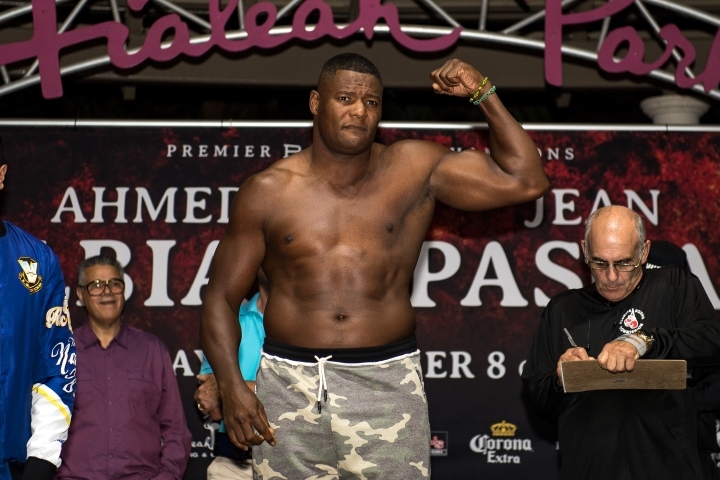 Luis Ortiz looked strong in the beginning, winning each of the first 4 rounds. Ortiz was out boxing Wilder in those rounds, as Wilder looked dumb founded about how to approach him. Ortiz’s smart jab was finding a home on Wilder’s face, which everyone thought would be the other way around. Wilder has the best and longest babe of any current Heavyweight, and through the first 4 rounds, he simply could not land it. Luis Ortiz display superb defense due to his amateur pedigree, and Wilder seemed baffled. Things would drastically change in the 5th round however. After winning most of the 5th round, Ortiz got nailed with a Wilder right hand that stumbled him, and the next punch would put him down. Ortiz was saved by the bell however, as the knock down came with only 10 seconds left in the fifth. Ortiz would recover in the 6th round, but Wilder would land a few more right hands throughout the round. They would have a few more exchanges in a very interesting 6th round that Wilder squeezed out and won. The mayhem would really start at the end of the 7th round. Ortiz landed a clean monster left hook right on Wilder’s jaw which put him on dream street. Ortiz landed a few more punches, including a huge left hand which looked like it would put Wilder down. Wilder was completely out of it, but some how made it out of the 7th. Wilder would come out in the 8th round still on dream street, and Ortiz was back on the attack trying to finish the fight. Wilder would get lucky and make it through the 8th, as it seemed that Ortiz punched himself out a bit in the second half of the round. The 9th round was pretty uneventful, as Ortiz seemed to has tired a lot, and Wilder was still recovering from that devastating 7th round, in which he almost lost the fight. That would all change in the 10th however. Wilder landed a huge right hand half way through the round, which was one of the loudest punches I have ever heard, and it wobbled Ortiz. Ortiz was shoved down and it was ruled a slip, but he was clearly hurt. Wilder came out of the corner throwing combinations, and nailed Ortiz with another right that put him down again. Ortiz would barely beat the count, but continue on. Wilder, knowing he had his man hurt, came out landing 2 clean right hands, and a huge right uppercut, which would put Ortiz down for good. Deontay Wilder survives in dramatic fashion, and remains the unedited WBC World Heavyweight champion. Artur Szpilka — Win, KO 9th round (12), 1/16/16. Chris Areola — Win, TKO 8th round (12), 7/16/16. Bryant Jennings — Win, TKO 7th round (12), 12/19/15. Tony Thompson — Win, KO 6th round (12), 3/5/16. Malik Scott — Win, Unanimous Decision (12), 11/12/16. Just announced yesterday, a huge world heavyweight title bout will take place in March. Deontay Wilder (38-0, 37 KO’s) will take on Luis Ortiz (27-0, 23 KO’s), as Wilder will defend his WBC World Heavyweight title against the Cuban monster. The fight will take place at the Barclays Center in Brooklyn New York on March 3rd 2018, and tickets are already on sale. the co-featured bout has also been announced, as Andre Dirrel (26-2-0, 16 KO’s) will take on Jose Uzkategui (26-2-0, 22 KO’s) for the interim IBF World Super Middleweight title. Wilder was supposed to fight Ortiz back in November of last year, but Ortiz was ultimalty replaced by Bermane Stiverne due to the fact that Ortiz tested positive for banned substances. Wilder disposed of Stiverne in the first round with a vicious KO victory, and was clearly upset that Ortiz was not his opponent on that night. With Anthony Joshua still seemingly ducking Wilder and going in a different direction, Luis Ortiz is the biggest name out there for Wilder to make a statement. Ortiz is coming off of back to back knockout victories against David Allen (TKO 7) and Daniel Martz (KO 2) respectively, but neither is a household name. If the undefeated Cuban is able to defeat Wilder, it will be tainted because of the positive test for performance enhancing drugs, but it would be his greatest victory to date. Ortiz is 38 years old, but is a powerhouse. He started his professional career late due to problems form defecting from Cuba, but none the less, he is one of the best heavyweights out there. Ortiz would also be Wilders greatest victory, should he win, as Wilder has been criticized for lack of top tier opponents. Wilder is not at fault for that however, as all his biggest potential opponents have tested positive for some kind of performance enhancing drug. Just last year, Wilder was also supposed to fight Alexander Povietkin, but that fell through due to a positive test as well. If Wilder is victories, Anthony Joshua will have no place left to hide.